Customer support, focusing on service, sustainability, fair pricing and short delivery times due to large stocks are the foundation for longterm partnerships with customers and suppliers. 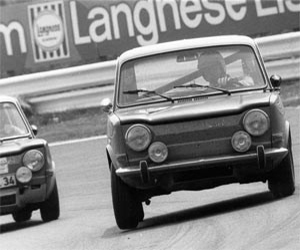 Learn more about our company´s history that started in 1963. 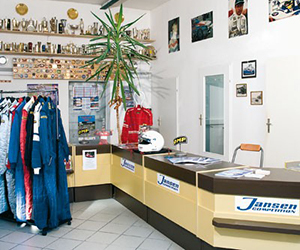 Jansen Competition has always put a focus on professional support and advise by our knowledgeable sales team. Besides sales in our show room in Ruprechtshofen, Austria and our mail order business through our catalogue we are on the track at many major motorsports events to offer you assistance where you need it.